The Construction Industry Training Board (CITB) has successfully secured a conviction against a woman accused of construction card fraud. 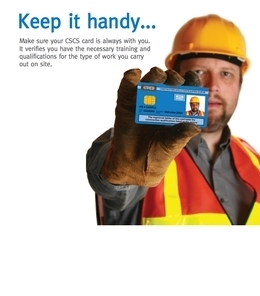 Karen Sharpe, a 51-year-old company director from Staffordshire, was arrested after it was discovered that she had bought 13 fake CSCS cards in a local pub and had used them to secure a cleaning contract on a construction site in Stafford. The fakes were uncovered by her employer during a routine induction process, who dismissed the 12 cleaning staff immediately and informed CITB’s Fraud Team. Karen Sharpe faced Cannock Magistrate’s Court on 6 April, charged with fraud by false representation. She received 14 weeks in custody, suspended for 12 months and is required to undertake 180 hours of unpaid community service. She must also pay a victim surcharge and court costs totalling £265. Ian Sidney said, “I hope this sends a strong message to anyone who works in construction and is taking part in any illegal activities. "This woman’s actions could have had serious consequences for anyone working on the construction site and for the staff who were working for her. "We simply will not tolerate any fraudulent behaviour that puts lives at risk or brings the industry into disrepute. “These arrests also demonstrate the need for employers to regularly check employee’s CSCS cards, to ensure they are genuine and valid documents."